"Polnolunie" invites you to celebrate our two great jubilees - 5 years of the name "Polnolunie" and 10 years of our basic kinship "Brotherhood of the Wolf"! 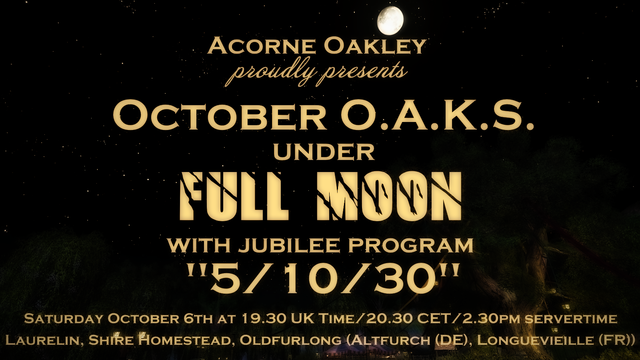 We chose 30 of our best songs of all time which we will perform at the October OAKS at the invitation of dear Miss Acorne! 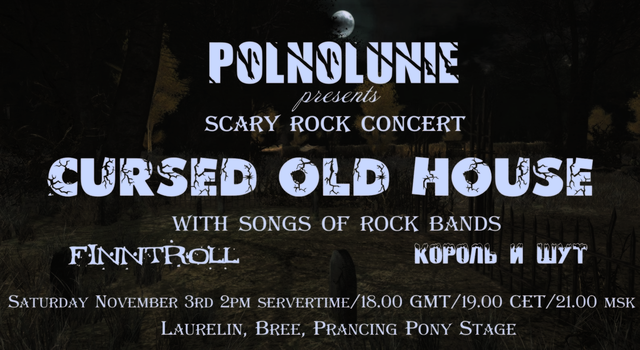 "Polnolunie" presents: "Cursed Old House"
"Polnolunie" invites everyone to our traditional "scary" concert "Cursed Old House"! This time we have prepared for you a crazy mix of songs from the Finnish folk metal band "Finntroll" and the Russian horror punk band "Korol i Shut" ("King and Jester")! 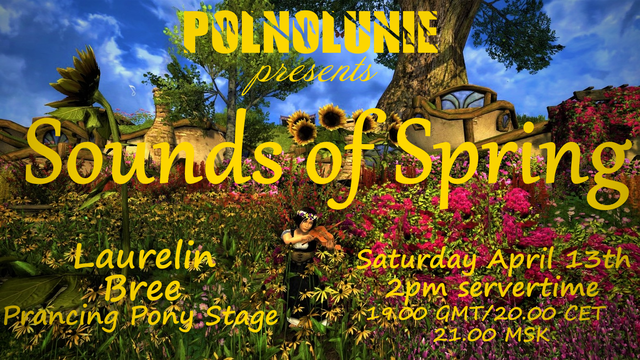 Darkness will fall on Saturday, November 3rd at 2pm servertime (18.00 GMT/19.00 CET/21.00 msk) - Laurelin, Bree, Prancing Pony Stage! The last day of shooting our new music video is over!!! Now we have two weeks of final editing ahead, and we hope that before the New Year we will be able to present it to you!!! 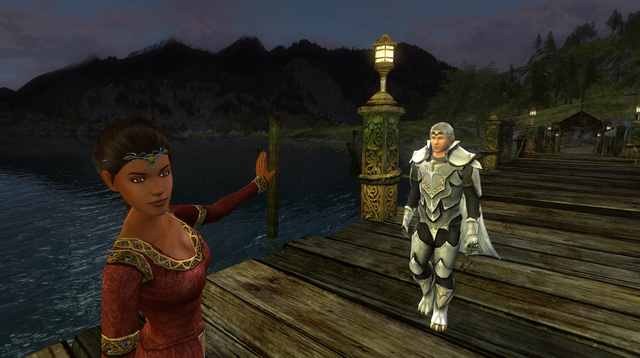 New music video "Take My Heart"
Soon Gondor will enter the final battle with Umbar! 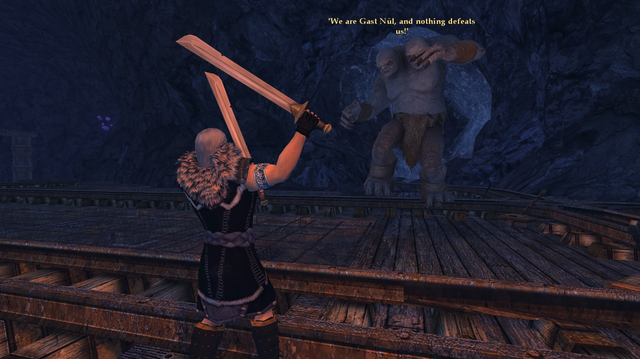 Do not miss the unique opportunity to hear the songs of both sides at the concert of "Polnolunie" and finally choose your side - Light or Darkness! 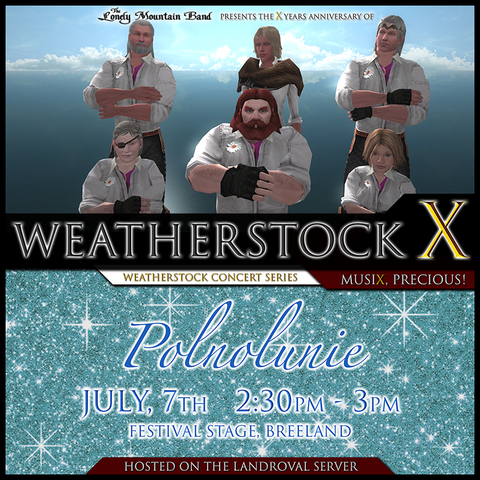 "Polnolunie" invites you to a concert on the songs of the band "Alisa" - one of the oldest existing Russian rock bands, founded in 1983 and released over 20 studio albums. 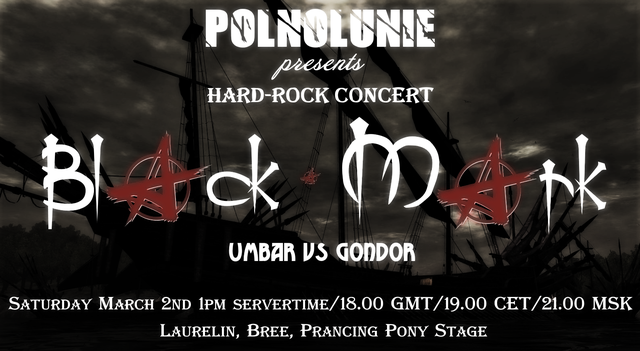 The band, which is considered the most distinctive of the Russian rock bands, has played in its history in a variety of styles - from hard rock to soft rock, jazz rock and rock fusion, all of which will be presented at this unusual concert along with unique texts of musicians of "Polnolunie"! 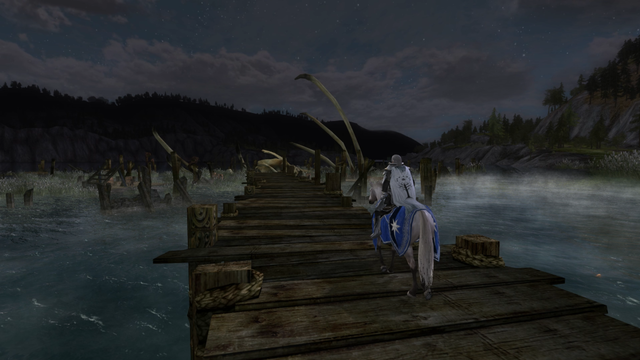 After dark times, sunny days always come! 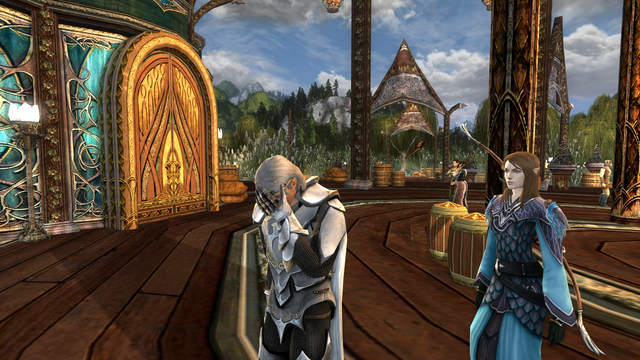 After harsh and sad music "Polnolunie" always sings joyful and lyrical songs! 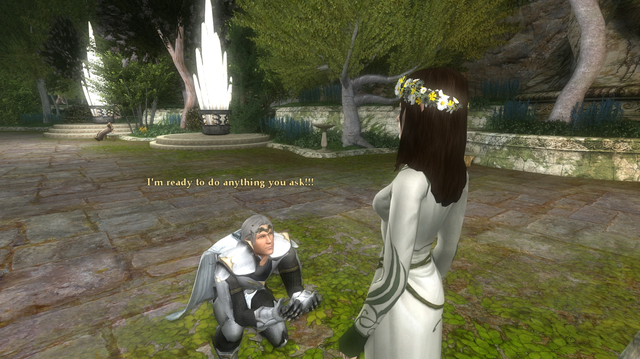 In honor of the coming spring "Polnolunie" presents its collection of new songs about love!